Contribute to Let's Build Homes And Change Lives! World Housing Foundation requests some further information. World Housing Foundation issues a tax receipts to individuals and organizations. World Housing Foundation is managing the funds for this campaign. 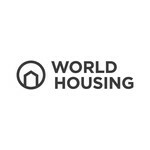 World Housing Foundation is a verified organization. © 2017-2018 World Housing CCC Inc.